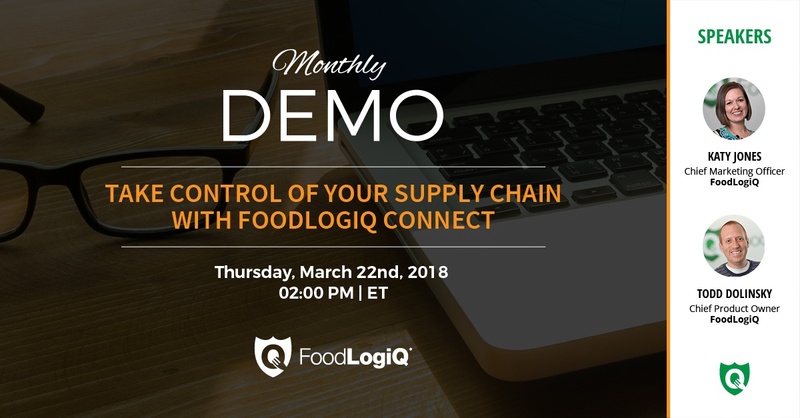 Join FoodLogiQ for a live demo on Thursday, March 22nd, 2018 at 2:00pm ET. 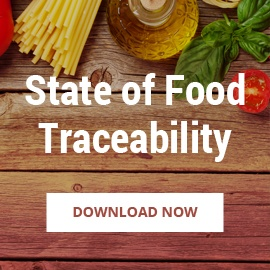 Learn how you can build a community of your supply chain partners, capture and monitor quality incidents, achieve end-to-end traceability and respond to food recalls with speed and accuracy all on the FoodLogiQ Connect platform. 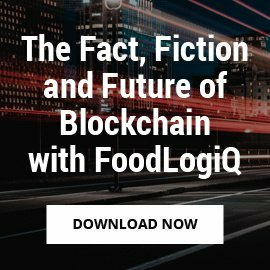 FoodLogiQ Connect offers three products that provide food companies with a single platform for supply chain transparency. 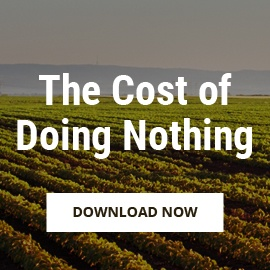 Centralize your supply chain in the Cloud and cut the time it takes to manage your suppliers in half. Capture and track quality issues, centralize communication with suppliers and process credit requests. Access your powerful supplier dashboard with drag-and-drop simplicity. 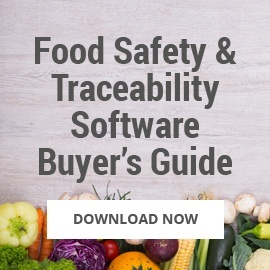 Go beyond "one-up-one-back" to achieve enhanced, lot-level traceability. Gather critical tracking events to trace forward and back across every step of your supply chain. 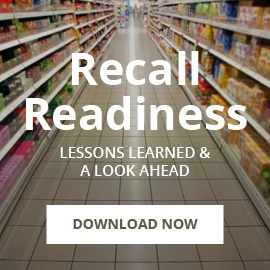 Initiate a recall or stock withdrawal across all of your locations simultaneously from FoodLogiQ Connect, using email, phone and text. Ensure swift action is taken when it matters most. 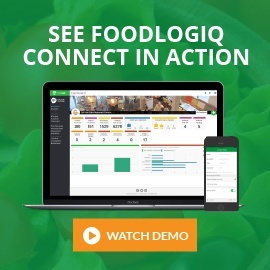 For more information about FoodLogiQ and its solutions, please register for the live demo on March 22nd.